Synopsis: Get your phone out of your hands while you drive. I've tried tons of phone holders over the years but none come close to the flexibility of the Cravenspeed Scissor Adapter. 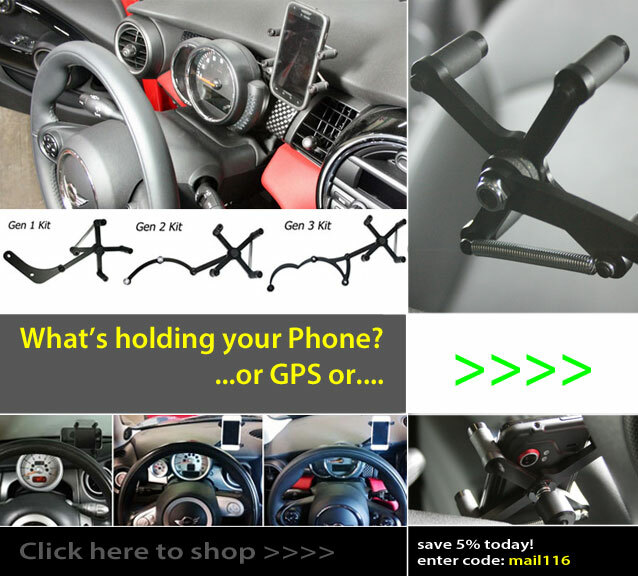 This simple yet ingenious design mounts to the back of the tachometer and has a spring loaded, easily adjusted grip system that can hold just about any phone, including the iPhone 6 and other other large phones (even with a protective case). If you're still fumbling around storing your phone in a cup holder get it together and pick up one of these today! If you've got a larger phone like the iPhone 6 Plus you'll want to check out the XXL Phone Holder. To top if off it can also be rotated so you can keep your GPS in the right orientation! Installs in minutes with super basic hand tools.